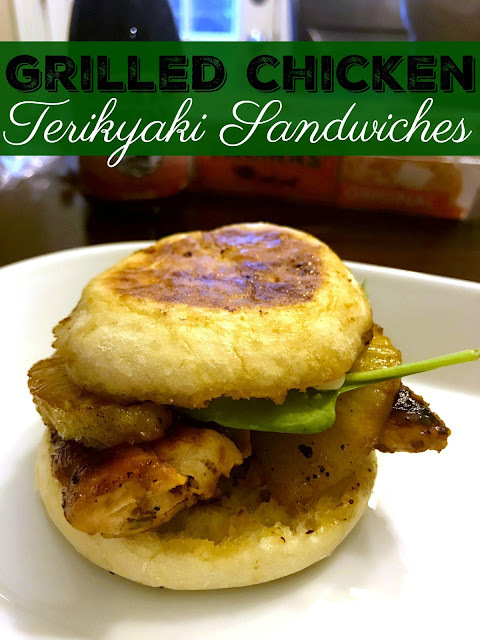 Food Hussy Recipe: Grilled Chicken Teriyaki Sandwiches | The Food Hussy! This post is sponsored by Thomas' English Muffins. All opinions are my own. I'm all about my grill right now and the nice thing is that you can pretty much cook anything on it. I love the control of the flame - I can baby my food and make sure it's just right. I also like being a little unconventional with my dinner - and I was out of hamburger buns - so I grabbed the Thomas' English Muffins and went to town! 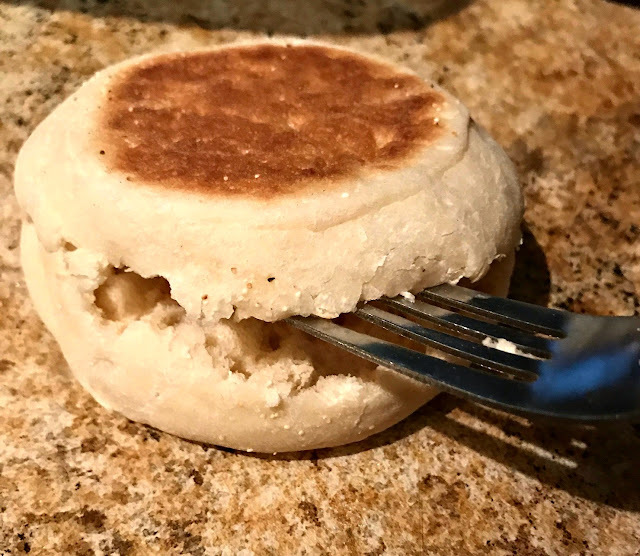 Remember - when you split an English muffin - use a fork or your fingers - that way you don't lose out on any of those delicious nooks and crannies. I marinated chicken tenders for a few hours in Sunny's Korean teriyaki marinade & sauce - they sent me some of their sauce to try. Who knew? It's a little Korean restaurant in Indiana! After marinating the chicken - I popped it on the grill - these were tenders so the don't take as long. Once the chicken was up to 160 degrees - I took it off the grill and let it rest. Then I took thinly sliced pineapple and dipped it in the marinade quick and then onto the hot grill. I also put the English muffins on the grill - who needs a toaster when the grill is hot?! Then I put it all together - a little spring greens, a little mayo (you could even mix a little teriyaki into the mayo!) and you've got a sandwich! 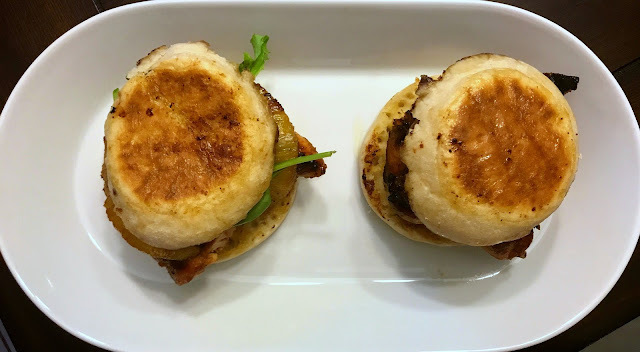 The pineapple really sets off the sandwich and I loved using an English muffin because it held together so well and all that delicious marinade worked it's way into the Nooks and Crannies! Yum! I will definitely be enjoying chicken teriyaki on the grill all summer long! - Make your sandwich! English muffin, chicken tender, pineapple, greens, teriyaki mayo!